All about Slotguard and ME! Tony the author. Hands up who doesn’t like to have a bit of a bet, a punt, a gamble? And not a single hand went up. It must be in our nature to look at the odds of something happening, or not happening and say: “I bet you…”. And I am no different to 99% of you. My name is Carlos, Spanish father and English mother, hence the Christian name. Something about a holiday in The Azores, but I won’t go into details. I’m a young 29, never married and live at home with my parents who continue to put up with me. Mum still does my washing and late nights now don’t mean nothing to eat. There’s always some leftovers in the fridge, you can bet on it. My exercise is walking the dog, avoiding the two cats and operating my computer’s mouse. Online gambling gets the pulse running hard at times so my cardiac activity is in there somewhere too. I have a day job working as an accountant in my own tax business, not far from Jackson’s Corner in Reading. Accountancy is not necessarily a passion but playing with numbers is. And there is the reason for me having a bit of love for gambling. I spend an inordinate amount of time working the odds. You need just a small edge to beat the house. To beat the house consistently, you need a lot of luck. You can be a professional gambler. You can state that job on a form that asks for your occupation and at tax time you can claim losses and declare your wins. Professional players are a lot smarter than amateurs, by a street. Why? 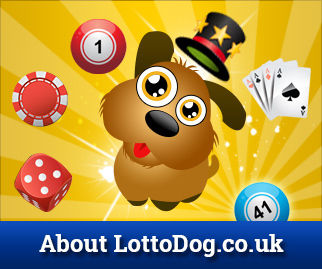 Because they calculate the odds involved in every game – Blackjack, Roulette, Poker (all types) and bingo and the lottery. Sports betting is also a great favourite, mainly horses and especially if the race game is clean in that country. For a professional gambler, this is not a good choice. The rules that apply in a live casino and watched over by gambling commissioners do not exist for online games. 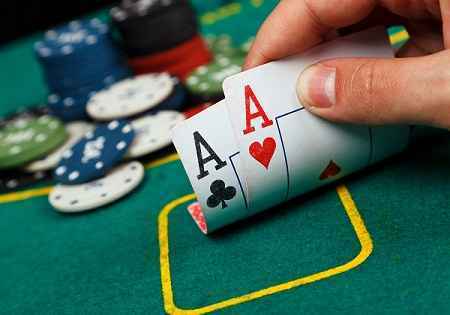 The companies and servers that present you these gambling opportunities are usually set up in countries that cannot be ruled against. If you want to take them to court or get them to pay you what they owe you or stop using your credit card you might have to take your own SWAT team to that particular country to get justice. A whole range of different regulations and, therefore, a greater risk. Online computer gaming algorithms are where the secret is. If you had a way to work out the programming, then you might feel more confident to place your money. The best way to play online? Play money, which you have to buy anyway so the casino owners are happy and you won’t end up a fortune out of pocket. The first and foremost tip is to ask yourself can you afford it? And be honest. If a loss of a few quid is going to upset you, then don’t gamble. Set a limit. If your maximum loss amount is £100 and you’ve lost £100, then stop. Set a limit. If your target win amount is £100 and you’ve won £100, then stop. Enjoy the win! Don’t double up. That’s a loser’s rule. Stick to your system, none of which should say ‘double up’! Do your homework on whatever game or sport you are gambling on. Horse racing shows that the favourite wins more often. Roulette works better picking more numbers in a spin. Single numbers pay high odds but why is that? Sometimes, just sitting down with your friends and playing a friendly game of Blackjack or Poker is a nice way to relax. Table banter and a few drinks and everyone has a good night. Tip 5. Don’t set high stakes for a friendly game. It always ends badly. Some people cannot afford to lose even £5. There are enough stories out there about addicted gamblers who have lost everything they ever owned. They can’t stop and nothing but complete destitution can stop them. It’s sad but true. Many helplines and services are available to talk to if you think you have an addiction. Winning can be very exciting, but everything in moderation. You win some, you lose some. Be cool!